In a matter of speaking, the identification number is the key to the Icelandic society. 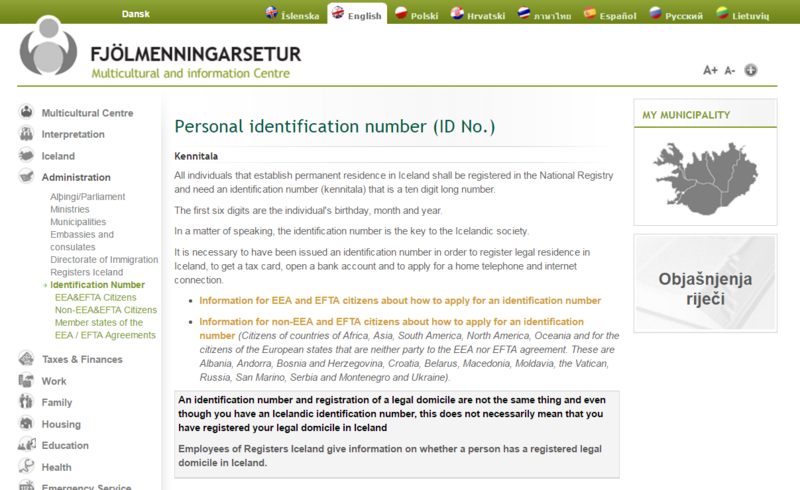 It is necessary to have been issued an identification number in order to register legal residence in Iceland, to get a tax card, open a bank account and to apply for a home telephone and internet connection. The Icelandic Identification Number (kennitala) is used as a TIN in Iceland. This number is a unique number issued to both individuals and entities. TINs are used for all taxes in Iceland.